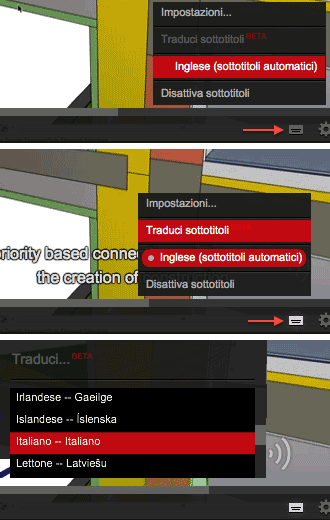 Un nuovo punto di riferimento per l’approfondimento tecnico: ricerca di istruzioni, articoli ArchicadWiki, discussioni su ArchiCAD Talk e video su youtube. nuovo help online di ArchiCAD. da chiunque senza alcuna restrizione. a questo punto si sceglie Italiano dalla Lista. I simply want to tell you that I am just very new to blogging and truly enjoyed you’re web-site. Almost certainly I’m going to bookmark your site . You absolutely have terrific stories. Thanks a bunch for revealing your webpage. I simply needed to say thanks again. I’m not certain what I might have accomplished without the opinions documented by you directly on that situation. It had become a terrifying situation for me, but understanding your specialised avenue you treated the issue made me to cry for happiness. Now i’m happy for this service and thus pray you find out what a powerful job you’re getting into instructing the rest thru your websites. Probably you haven’t come across all of us. I’ve been browsing online greater than 3 hours today, but I by no means found any fascinating article like yours. It¡¦s beautiful value enough for me. In my opinion, if all website owners and bloggers made good content material as you did, the web will likely be much more useful than ever before. Only wanna remark on few general things, The website style and design is perfect, the written content is really superb. “In business school classrooms they construct wonderful models of a nonworld.” by Peter Drucker. I¡¦m not sure the place you’re getting your information, but great topic. I must spend a while finding out much more or understanding more. Thanks for excellent info I was on the lookout for this info for my mission. I simply wished to thank you very much all over again. I do not know the things I would’ve used in the absence of these thoughts shown by you about such problem. It previously was a traumatic concern in my position, but finding out a specialised approach you managed that took me to leap for fulfillment. Now i’m happier for the help and as well , have high hopes you recognize what a great job you are always carrying out teaching men and women using your webblog. I’m certain you’ve never come across any of us. I have been surfing online more than three hours nowadays, but I by no means found any fascinating article like yours. It is pretty worth enough for me. Personally, if all web owners and bloggers made just right content material as you probably did, the net might be a lot more useful than ever before. “It’s all right to have butterflies in your stomach. Just get them to fly in formation.” by Dr. Rob Gilbert. Excellent site. Lots of helpful information here. I am sending it to several pals ans additionally sharing in delicious. And of course, thanks for your sweat! Excellent post. I was checking continuously this blog and I’m impressed! Extremely useful info particularly the last part 🙂 I care for such information much. I was looking for this certain information for a very long time. Thank you and best of luck. I want to convey my respect for your kindness giving support to those individuals that really need help with this important issue. Your personal dedication to passing the solution around appears to be extraordinarily effective and have in most cases empowered guys just like me to achieve their targets. Your personal important advice entails a great deal to me and somewhat more to my office colleagues. Many thanks; from each one of us. Thanks a bunch for sharing this with all of us you really recognise what you are talking about! Bookmarked. Please also consult with my website =). We can have a link alternate contract among us! I truly wanted to compose a note in order to express gratitude to you for some of the marvelous tips and tricks you are posting on this website. My prolonged internet lookup has at the end been recognized with good concept to exchange with my relatives. I would declare that most of us site visitors are undeniably blessed to be in a wonderful network with very many wonderful individuals with very beneficial plans. I feel extremely privileged to have used the webpages and look forward to some more entertaining times reading here. Thanks a lot once more for everything. I¡¦m no longer sure where you are getting your information, but great topic. I needs to spend some time finding out much more or figuring out more. Thanks for magnificent information I used to be looking for this information for my mission. I¡¦ve been exploring for a bit for any high quality articles or weblog posts on this sort of house . Exploring in Yahoo I finally stumbled upon this web site. Reading this info So i¡¦m glad to show that I have a very good uncanny feeling I discovered just what I needed. I most surely will make sure to do not fail to remember this website and give it a glance regularly. Someone necessarily lend a hand to make severely posts I’d state. That is the very first time I frequented your web page and so far? I amazed with the research you made to create this particular post incredible. Excellent activity! Whats up very nice website!! Man .. Beautiful .. Amazing .. I will bookmark your site and take the feeds also…I’m satisfied to seek out so many helpful information here within the post, we need work out extra techniques in this regard, thank you for sharing. You can definitely see your skills in the paintings you write. The world hopes for even more passionate writers like you who aren’t afraid to say how they believe. Always follow your heart. “Everyone has his day and some days last longer than others.” by Sir Winston Leonard Spenser Churchill. Excellent website. Lots of helpful information here. I am sending it to a few buddies ans also sharing in delicious. And obviously, thanks on your sweat! I believe this internet site has some really superb info for everyone :D. “As ill-luck would have it.” by Miguel de Cervantes. I have been surfing on-line greater than three hours these days, but I never discovered any interesting article like yours. It is lovely worth enough for me. Personally, if all web owners and bloggers made just right content material as you did, the net will be a lot more useful than ever before. Thank you a lot for sharing this with all people you really know what you are talking approximately! Bookmarked. Please also visit my website =). We may have a link exchange contract between us! I have been exploring for a little bit for any high quality articles or blog posts in this sort of house . Exploring in Yahoo I eventually stumbled upon this website. Reading this info So i¡¦m glad to express that I have an incredibly good uncanny feeling I discovered just what I needed. I so much no doubt will make sure to don¡¦t disregard this website and give it a look on a relentless basis.